Environmentalist Robert F. Kennedy Jr. and Phillip Abrary, president and CEO of Ostara, a nutrient management company behind the project, are in Chicago to celebrate the opening. The Mississippi River carries enormous amounts of sediments and nutrients into the Gulf of Mexico. Nutrients like phosphorus and nitrogen cause algae growth, which creates an oxygen-depleted dead zone along a broad strip of the U.S. coast. 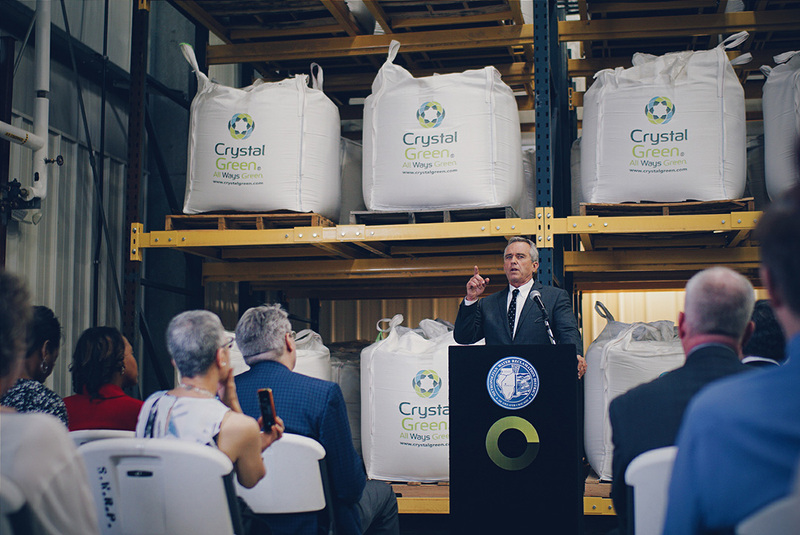 To combat this phenomenon, the Metropolitan Water Reclamation District of Greater Chicago is opening the world’s largest nutrient recovery facility in Cicero, IL. Environmentalist Robert F. Kennedy Jr. and Phillip Abrary, president and CEO of Ostara, a nutrient management company behind the project, are in Chicago to celebrate the opening. We talk to them about sustainability issues and how exactly the plant will work to replenish and save waterways from the Chicago River to the Gulf of Mexico.